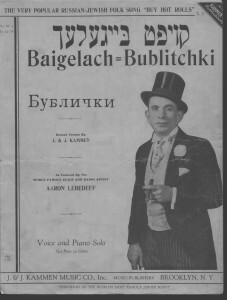 1929 “Baigelach = Bublitchki” (“Buy Hot Rolls”) Sheet music cover; Photo of Aaron Lebedeff. 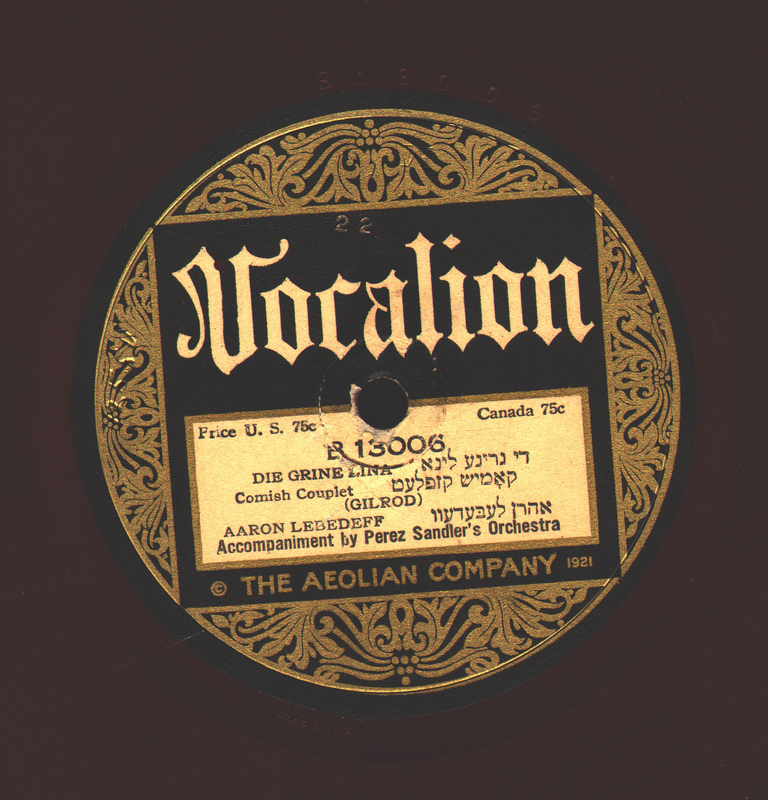 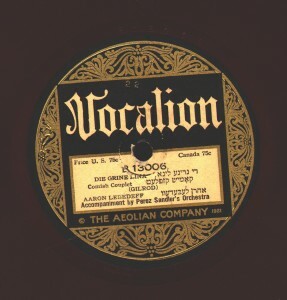 Plus: Vocalion B13006 Record label “Die Grine Lina” 1925. 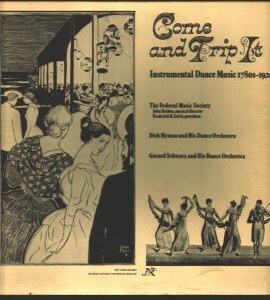 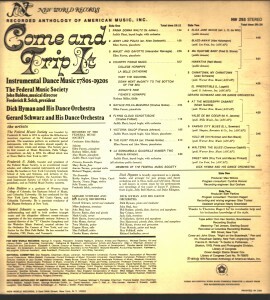 “Come & Trip It: Instrumental Dance Music 1780s-1920s” LP record and notes (1978) New World 293, rereleased on CD 80293 with booklet.